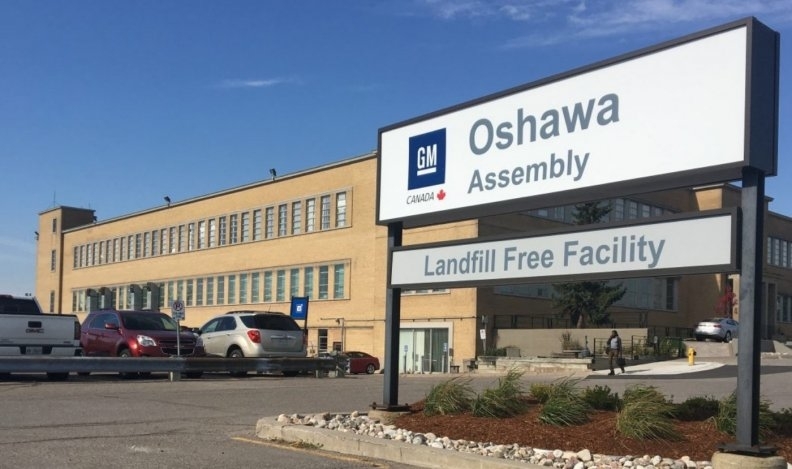 TORONTO — Canada'a Unifor expects to hear back from General Motors by the end of next week regarding its proposal to save some workers’ jobs at Oshawa Assembly, a local union official said. Unifor Local 222 President Colin James said the union has not met with GM to discuss the proposal since March 19, when National President Jerry Dias met with GM Canada President Travis Hester and Gerald Johnson, GM’s executive vice- president of global manufacturing. Unifor subsequently suspended its campaign to pressure GM to reverse course on its plans to stop production at the plant by year’s end. James, whose local represents about 2,600 workers at the Oshawa plant, said GM was doing “some sort of assessment” on the union’s proposal and would respond to the union once that is completed. “That has not happened yet, but I’m sure that’ll happen by the end of next week, just thinking of the timeframe,” he told Automotive News Canada. David Paterson, GM Canada vice-president of corporate and environmental affairs, declined to comment. Oshawa does stamping for GM’s Hamtramck, Mich., assembly plant, which has a production mandate lasting through January 2020. Prior to the current round of negotiations, Unifor waged an aggressive campaign against GM. Between November and February, Unifor undertook short wildcat strikes at Oshawa suppliers that were later ruled to be illegal, briefly blockaded the entrance to GM Canada’s headquarters, took out ads on Canadian television during the Super Bowl and other high-profile broadcasts. James concedes that the union’s proposal would not save the jobs of every worker at the plant. Unifor said previously that GM has made it clear it has no plans to extend production at the plant beyond 2019. The factory currently builds the Cadillac XTS and Chevrolet Impala sedans, as well as final assembly on previous-generation Chevrolet Silverado and GMC Sierra pickup bodies shipped from Indiana.